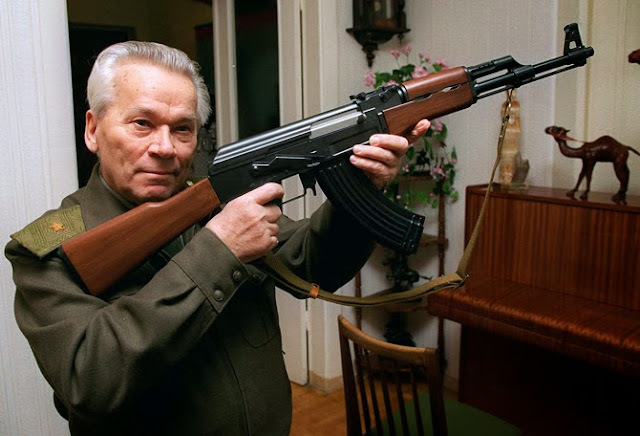 Mikhail Kalashnikov, whose work as a weapons designer for the Soviet Union is immortalized in the name of the world's most popular firearm, died Monday at the age of 94. Kalashnikov once aspired to design farm equipment. But even though his most famous invention - the AK-47 assault rifle - sowed havoc instead of crops, he often said he felt personally untroubled by his contribution to bloodshed. Kalashnikov died in a hospital in Izhevsk, the capital of the Udmurtia republic where he lived, said Viktor Chulkov, a spokesman for the republic's president. He did not give a cause of death. Russian media was also widely reporting his death. Kalashnikov had been hospitalized for the past month with unspecified health problems. 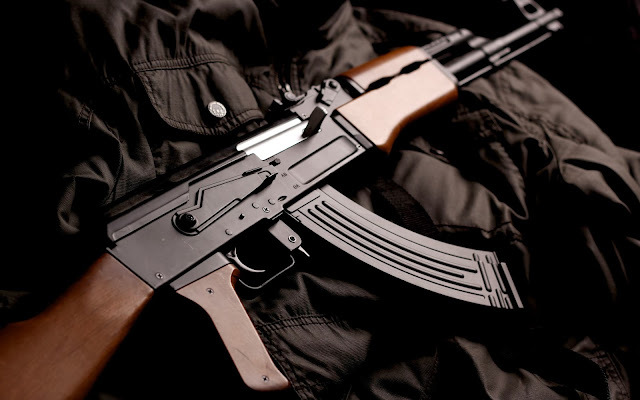 The AK-47 - "Avtomat Kalashnikov" and the year it went into production - is the world's most popular firearm, favored by guerrillas, terrorists and the soldiers of many armies. An estimated 100 million guns are spread worldwide.